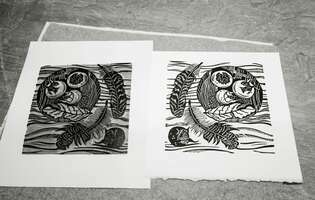 Here on our historic site we run a number of activities - we carry out conservation repairs, have training facilities, a small-scale sawmill, and a pottery and print workshop, all based in the grounds of the C16th manor house and gardens of Plas Tirion. 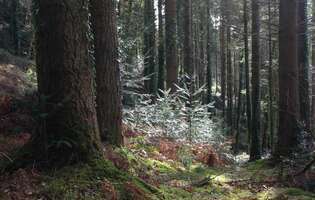 Nearby we have a ninety acre forest of mixed woodland and conifer plantation. We came to Plas Tirion in 2010 when it had fallen into a state of disrepair and was in dire need of intervention and care. In the intervening years we have worked gradually to restore the old house and its outlying buildings - this is work in progress, our own ongoing live conveservation project that you can follow by subscribing to our updates. 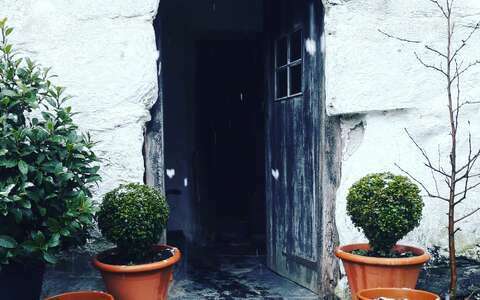 The first job was to remove the damaging and unsightly pebble dash from the exterior; lime rendering and limewashing followed, and first stage conservation of the interior. From time to time we open up the house to visiting groups and historic societies. Plas Tirion was built in two stages, the right hand wing was an original house dendro dated to 1565, this house was then modified in 1626 by Robert Wyyne of Feolas, upon his marriage to Katherine. Robert was born in 1598/9 and was the High Sheriff of Denbighshire in 1631 and 1664. Katherine was the daughter of William Wynne of Melai, and the widow of Ffoulke Lloyd of Hafodunos. Our timber is good quality, untreated Douglas Fir or Larch, which travels just a couple of miles from the forest to the sawmill here at Plas Tirion. We also take in large fallen hardwood trees from the local area, which we mill into planks and when seasoned, make available to our customers. Our roughsawn timber is used for external cladding, green building projects, and timber framing, please get in touch to discuss your requirements. 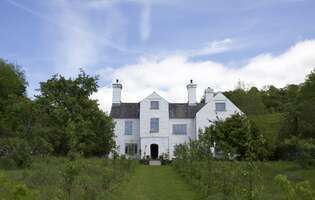 Our restoration of Plas Tirion includes the gardens and grounds around the main house. Two Tudor knot gardens were created with funding from the Welsh Historic Garden Society, the design of which is based upon C17th plaster strapwork in the main house. We have planted a large wildflower meadow, an area of mixed native woodland, a plum orchard and next year will develop a large kitchen garden. Some of this work was carried out with the help of volunteers - if you are interested in volunteering, please add yourself to our mailing list so that we can let you know about upcoming volunteer days. 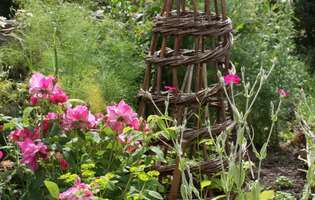 In summer we use the gardens as a location for some of our courses. We hold all of our courses on site in the traditional C19th farm buildings, and outside if the weather allows. 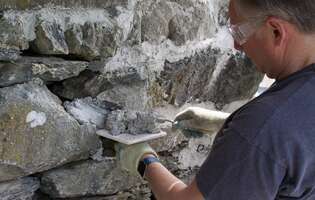 The large range of stone buildings allow visitors to practice practical skills like pointing and plastering and to see the conservation building repair work that we have carried out. Our family forest stretches across the hillside above nearby Betws-y-coed. Originally a conifer plantation created in Victorian times, over the past twenty years many thousand native hardwood trees have been planted to create a beautiful habitat full of wildlife, as well as providing timber for milling. 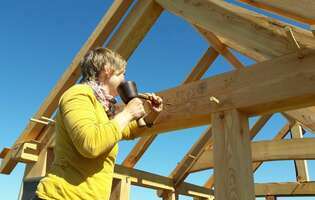 Get the latest on news, events and special occasions from the Natural Building Centre, along with updates about all our latest developments. We’ll also be sharing exclusive opportunities at the Natural Building Centre here first.